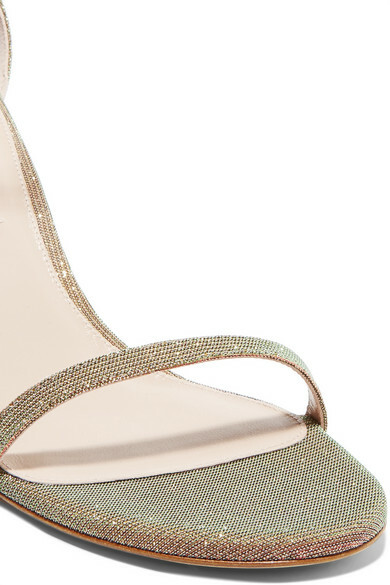 Stuart Weitzman's 'Nudist' sandals are made from iridescent lamé that changes from gold and green to red as they catch the light. They're set on a manageable 75mm stiletto that will still feel comfortable when you're a few hours into a party. Shown here with: Goldsign Jeans, MSGM Blouse, Hunting Season Shoulder bag, Cosabella Bra.